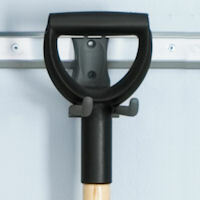 Our pair of flexible gripper stores (shown on the right of the photo holding a broom and a hoe) gently yet securely grip onto and hold any items placed in the rubber jaws. 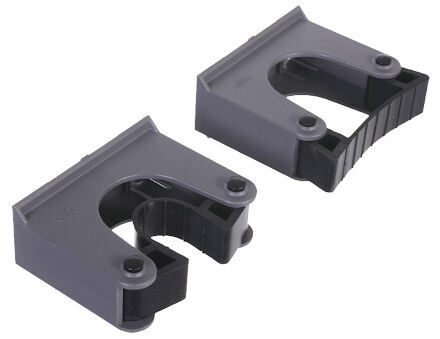 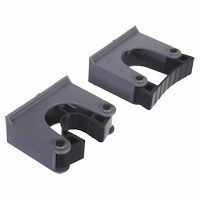 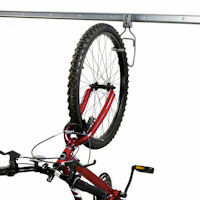 Simply clipped into an elfa top track they can hold items that have a diameter of 3-4cm. 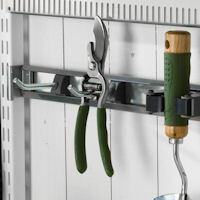 They're great for storing sporting equipment such as tennis rackets and cricket bats etc. 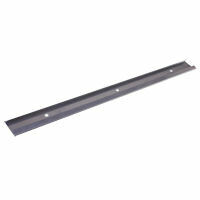 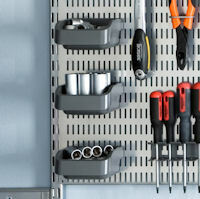 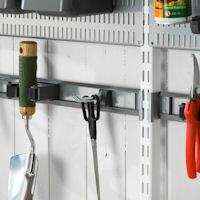 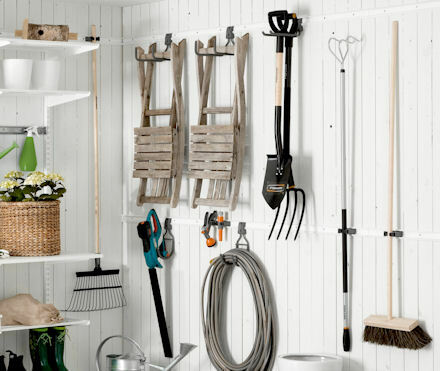 and are equally useful for long handled tools such as spades, mallets, brooms and mops, or even length of pipe.